HomeSpaceX’s Second Job: Is This How Musk Will Achieve His Martian Dream? You may have heard or read something about Elon Musk’s latest announcement concerning the future of his company SpaceX by now. The famous entrepreneur has detailed his plan that involves bringing humans to the Moon and to Mars in ever greater numbers. However, he was more taciturn concerning the more practical aspects of implementing these ideas, including their costs and how he and SpaceX intended to cover them. Despite this, we do know more about how the company makes money: it has been credited with putting American spacecraft and launch missions back on the commercial map. They offer a service by which their rocket launches result in the dispersal of satellites, usually for telecommunications purposes, into Earth’s orbit. This is commercially viable, particularly as SpaceX’s craft are re-usable rockets that can take off and land several times over. On the other hand, these rockets, like most space-worthy vessels in use today, can take hundreds of millions of dollars with them if they fail or are destroyed. Taking this factor into consideration, Elon Musk’s far-reaching new business plan seems to walk a very fine line between success and enormous financial risk. Therefore, taking a look at SpaceX’s real-world operations and main revenue streams may be interesting to investors and general space buffs alike. SpaceX sells itself as a company with significant success in turning a profit from launching rockets into the upper atmosphere and beyond. It claims to have secured about 10 billion dollars in contracts to do so, from customers that include the U.S. Department of Defence, various national governments, aerospace authorities and tech multinationals such as Facebook. SpaceX mostly offers satellite conveyance, as mentioned above; in addition, it has developed the ‘Dragon’ crew transport for NASA. All in all, it claims to have a healthy and robust flow of business. However, SpaceX also apparently re-directs much of its profits back into its own research and development – which may explain at least in part where Musk thinks the money for his latest plan is going to come from. He also mentioned that the company’s existing rockets will be “cannibalised” in order to produce the company’s new, monolithic rocket type (currently code-named the BFR) which will be a re-usable rocket big and capable enough to run several passenger ‘flights’ to extra-terrestrial locations, as well as offering ultra-fast international flights right here on Earth. However, this does not explain how SpaceX plan to complete another business plan as proposed to the U.S. federal government earlier this year: a new satellite-powered system for next-generation broadband internet. This system is intended to address the deficits in broadband access across the U.S., such as the failure to uphold the FCC’s short-term target of having 100Mbps per 1,000 students and educational staff. In fact, the country lags behind other developed nations in terms of internet speeds and availability rates. To address this, SpaceX submitted a proposal to the U.S. Senate in May 2017 to set up a new network of satellites that would boost general accessibility and average speeds. This system would consist of a ‘constellation’ of orbital satellites at about 1,200km above ground level. These satellites would ‘beam’ broadband signals down at the American landmass using ‘phased array’ antennae, to provide internet services in a number of state-of-the art spectra. These are the Ku- and Ka-bands, which (as SpaceX claims) can deliver speeds comparable to those offered by fiber-optic cable-based internet services. The satellites would also interface with each other to create a ‘mesh’ network in the orbit, thus enhancing the area to be covered and the volume of the broadband signal. SpaceX intends to test the satellites during 2018, prior to an initial launch campaign for them in 2019. Therefore, this plan, termed the non-geostationary satellite orbit (NGSO) broadband system, may just clash with those of the BFR, which will not launch until at least 2022. In his announcement, Musk estimated that this rocket should be up and running in full service by 2024. However, this is also the projected date for the completion of the proposed satellite constellation. SpaceX also stated in their proposal that the pre-existing, well-validated Falcon 9 rocket would be used to deploy this constellation; and yet, according to Musk, this craft may end up as parts for the new BFR model. This is a particularly tricky issue, especially as SpaceX also proposes to deploy a second constellation closer to Earth, so as to exploit the V band for their new broadband provision. 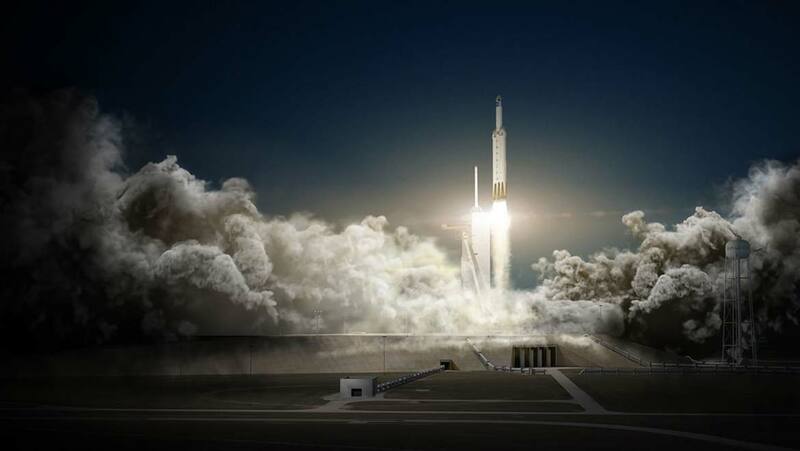 Therefore, there are two possibilities at work here: either the NGSO and BFR projects will work in tandem – or Musk has potentially forgotten about the former, as he neglected to mention it in his latest announcement. On the other hand, there are indications within his statements that the BFR may also be used to deploy satellites. Musk has stated that all of SpaceX’s missions will be consolidated into BFR launches, suggesting that the new craft will pick up where the Falcon 9 leaves off. Even though SpaceX claims to have streamlined all their costs, despite doing so in a manner they never completely publically outlined, it has a demonstrable need for revenue for such an ambitious project with remarkably truncated projected timelines. SpaceX also argues that U.S. regulations and financial directives need to be re-structured to prioritise projects such as the NGSO. This may indicate yet more uncertainty for SpaceX, its upcoming projects and its future.